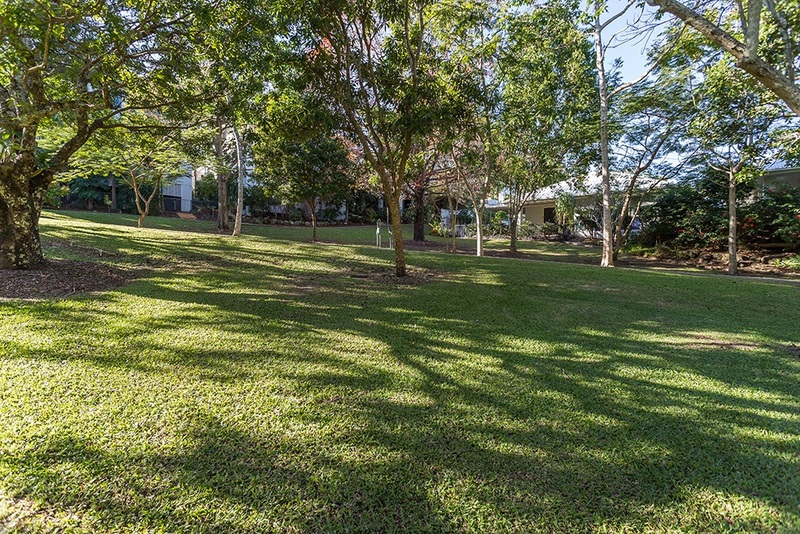 Set on 393 square metres this north east facing, level air conditioned home forms part of the leafy and exclusive secure complex called “Woodlands” estate, with your own private manicured garden and lawns leading down to the walk way which meanders through to a private gate leading into the Botanical Gardens. 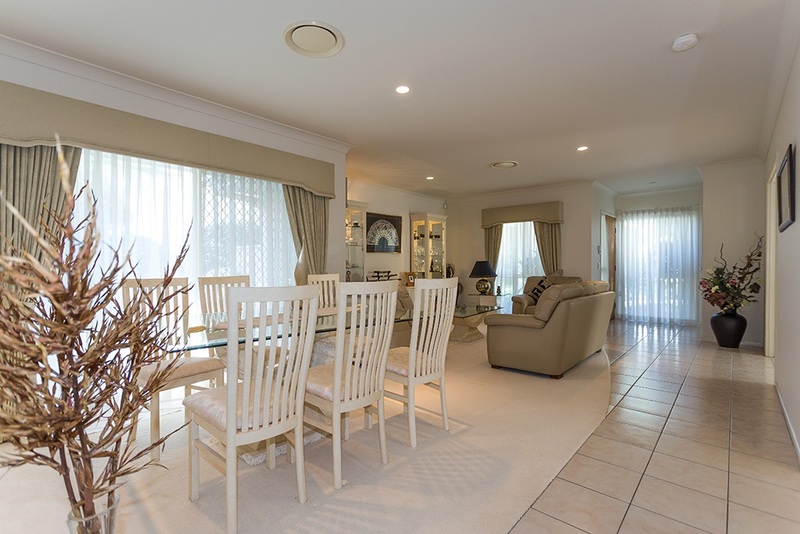 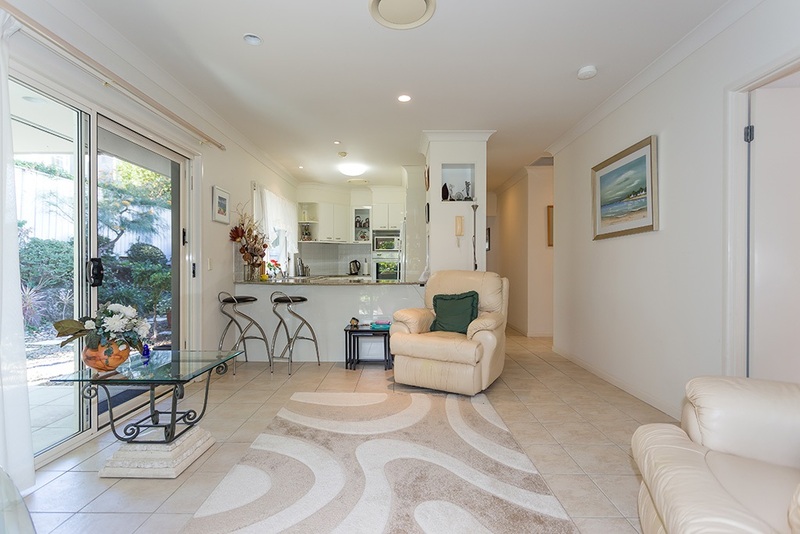 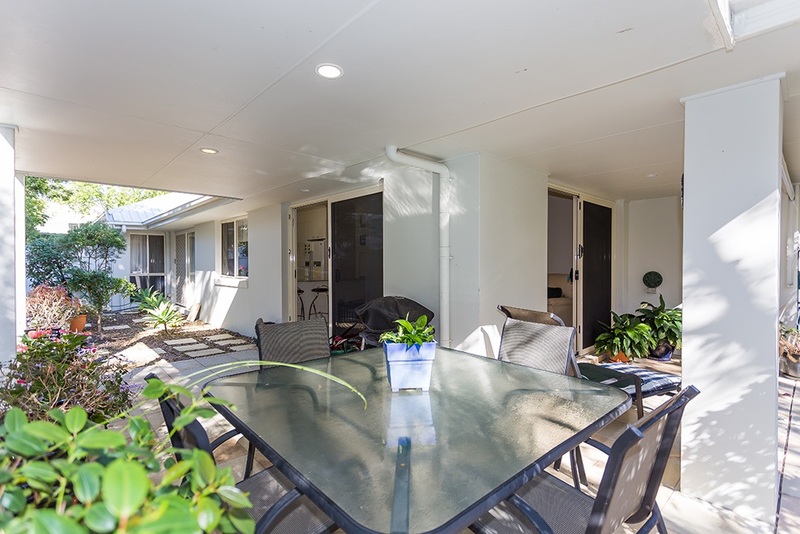 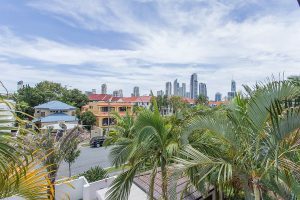 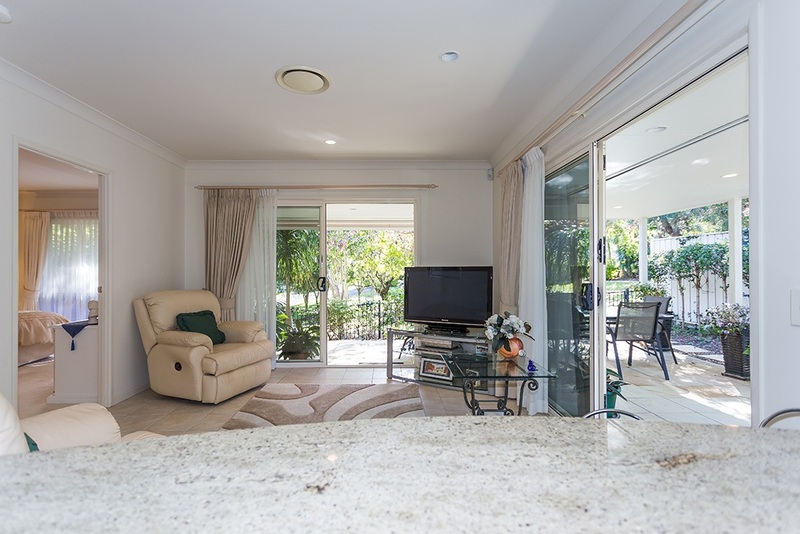 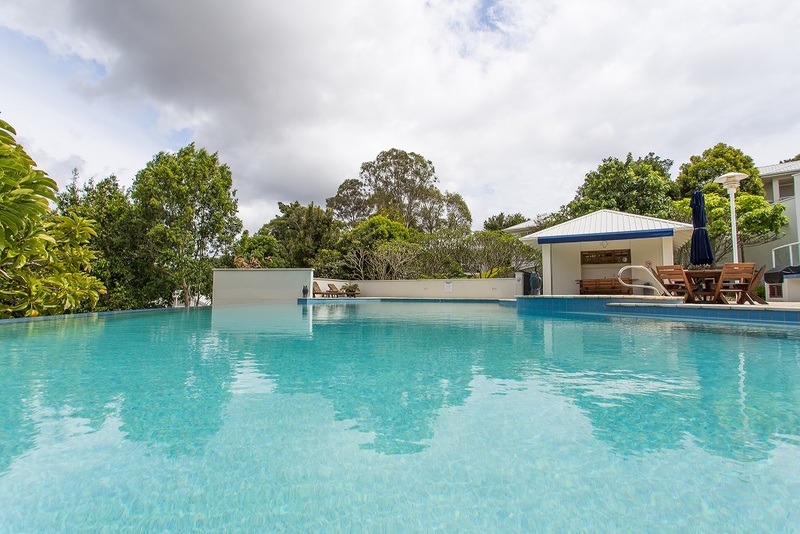 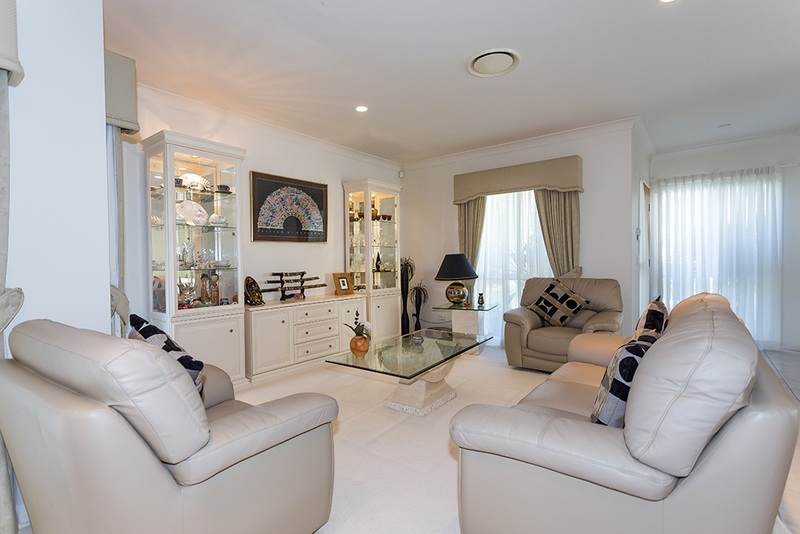 This gated complex also features one of the best swimming pools to be found in complex living on the Gold Coast that is a short walk across a manicured lawn. 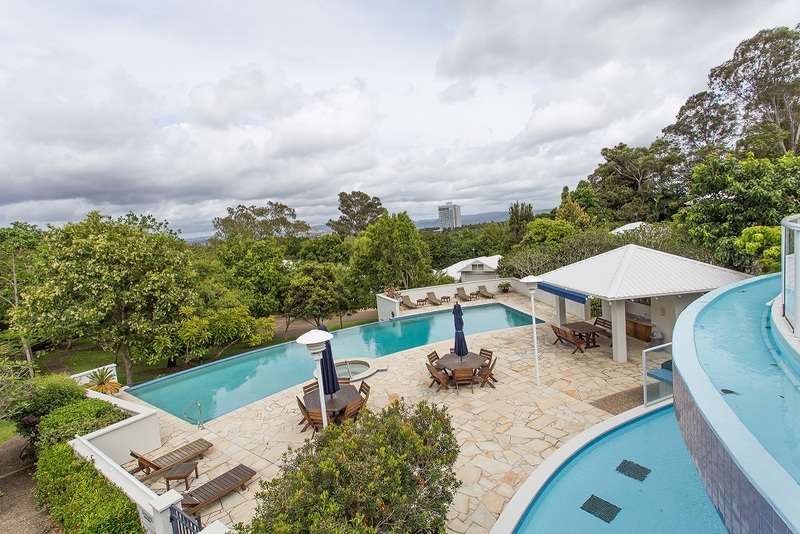 The complex is set on 3.047 hectares. 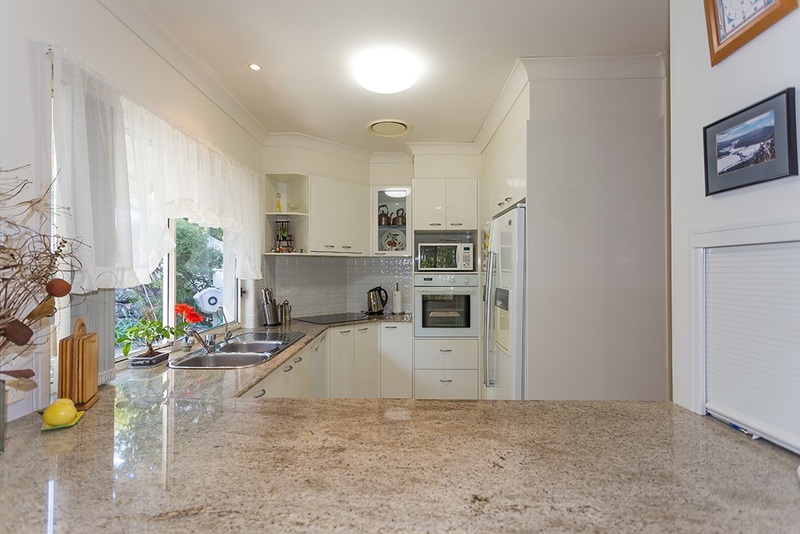 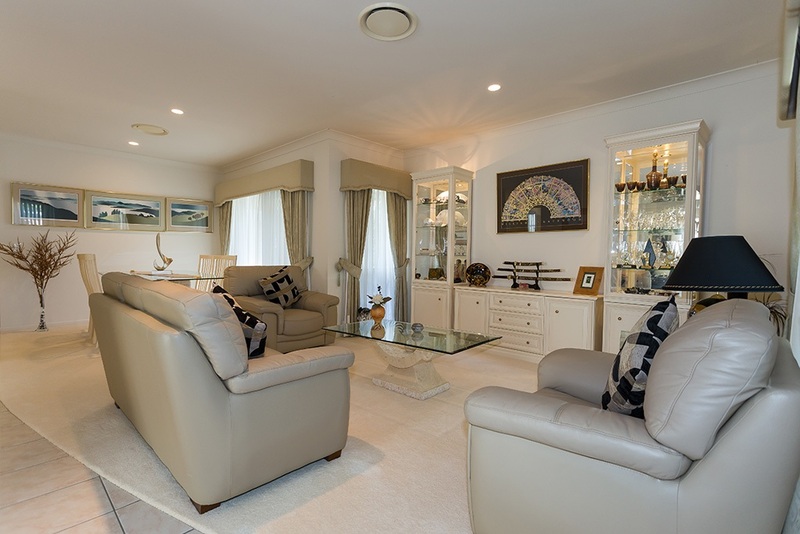 Beautiful presented throughout with spacious living and dining areas, a large entertainer’s kitchen with stone benchtop, induction cook top and an abundance of storage. 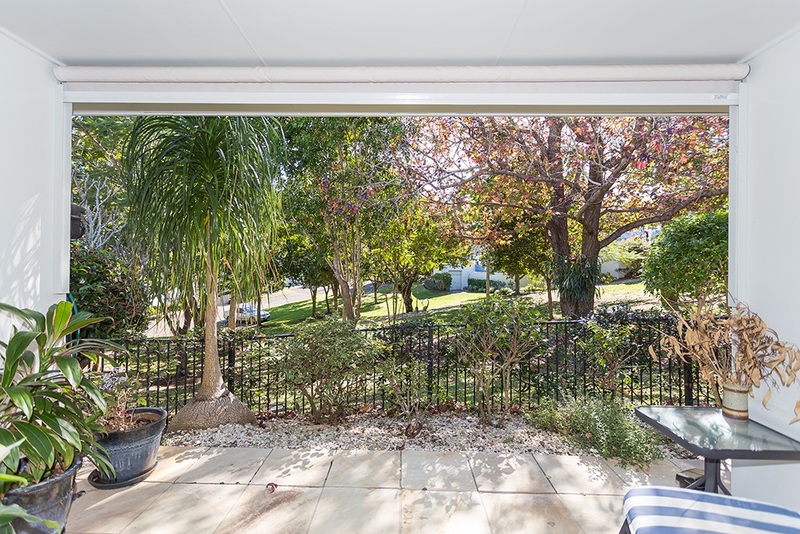 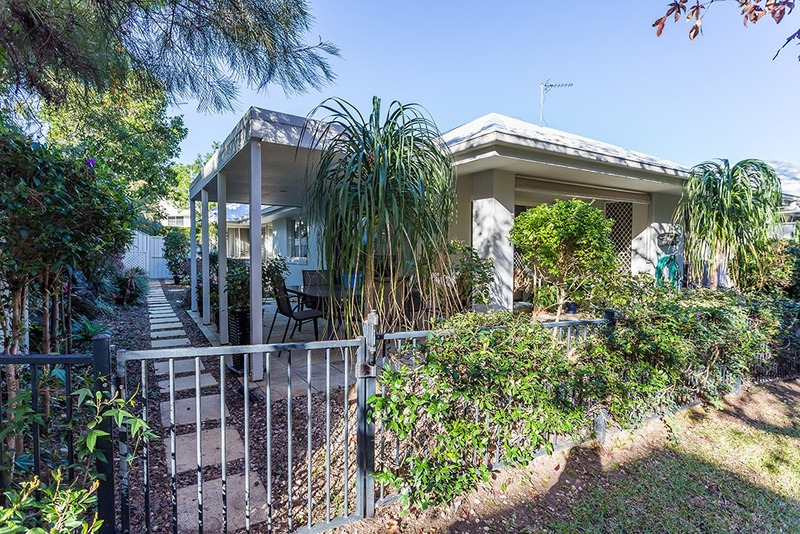 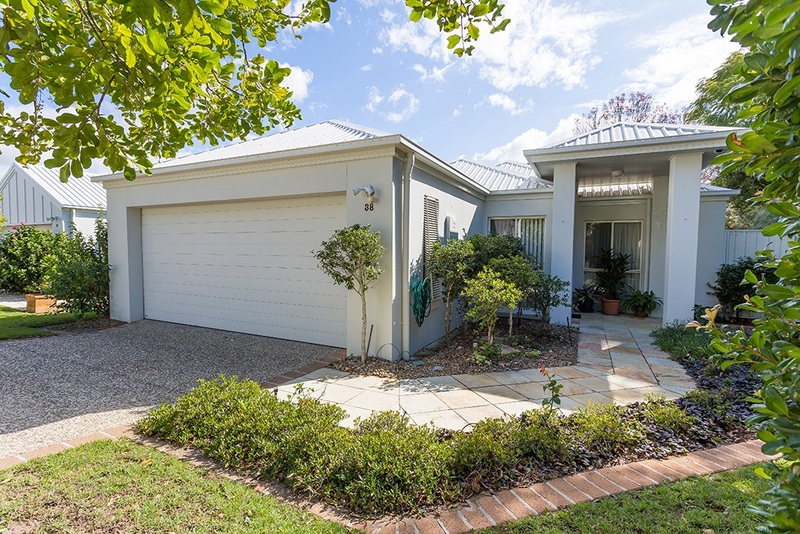 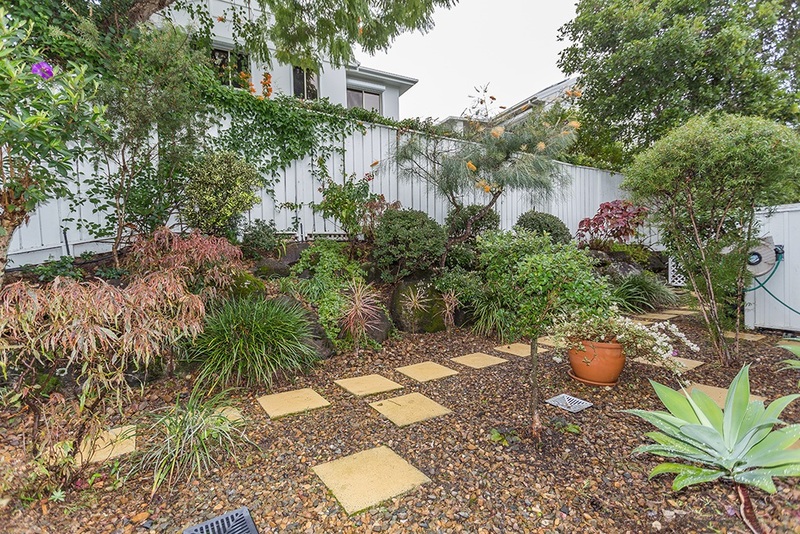 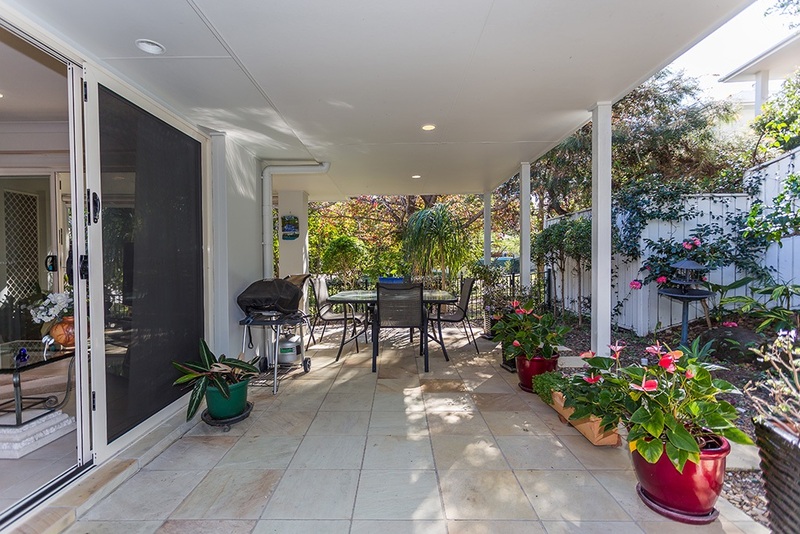 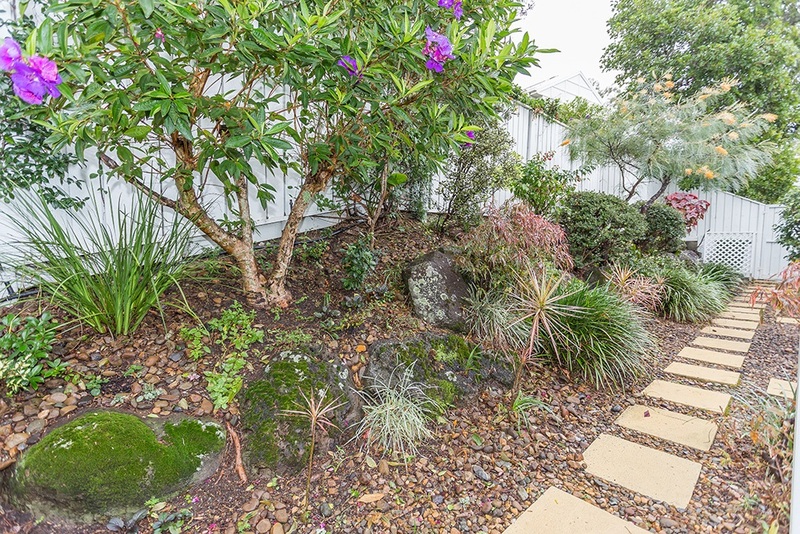 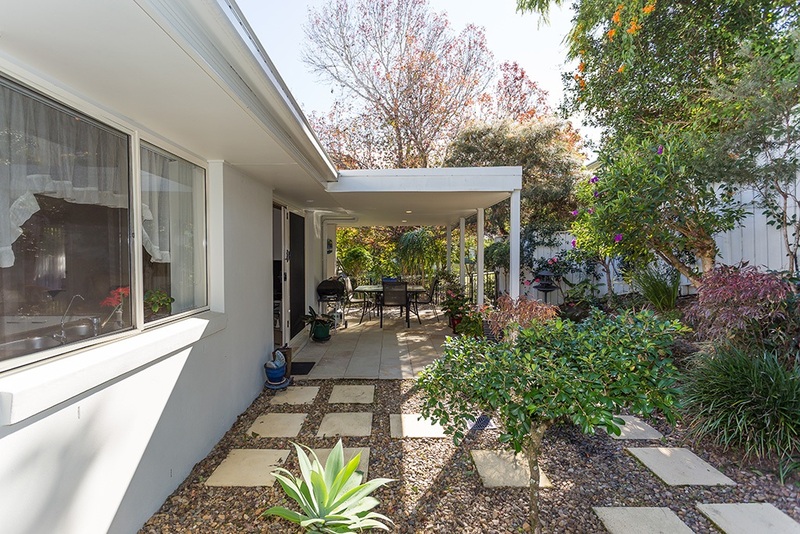 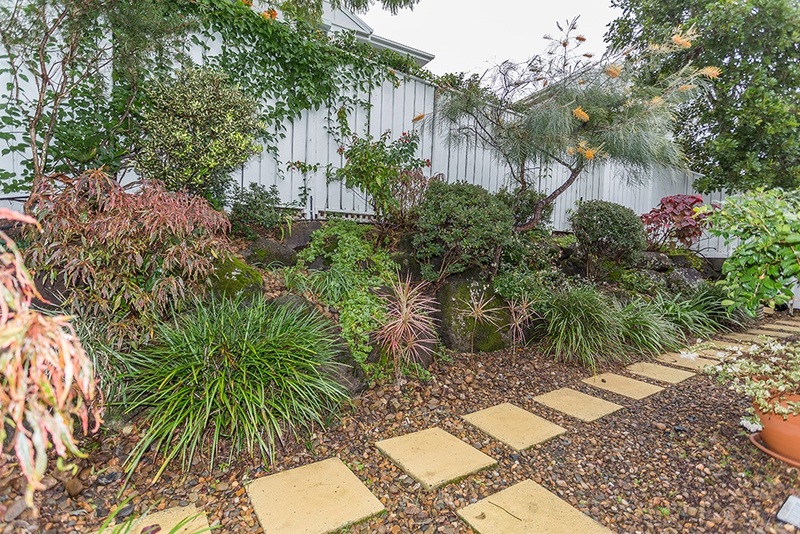 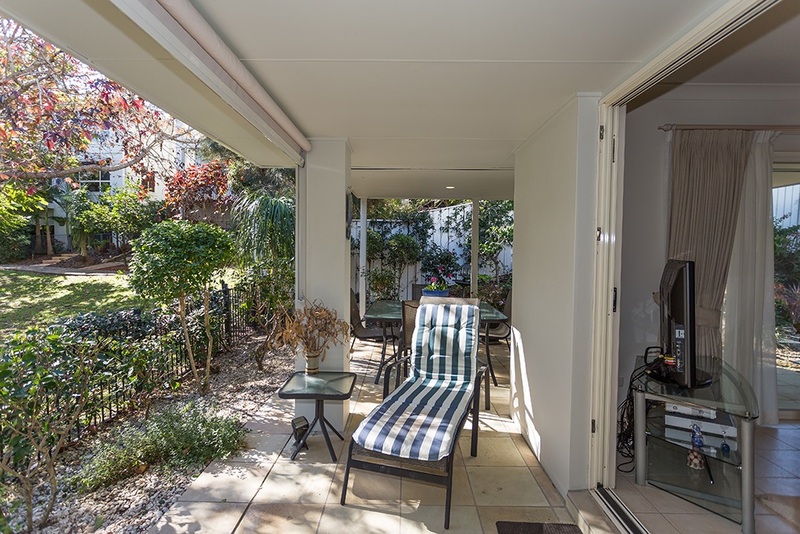 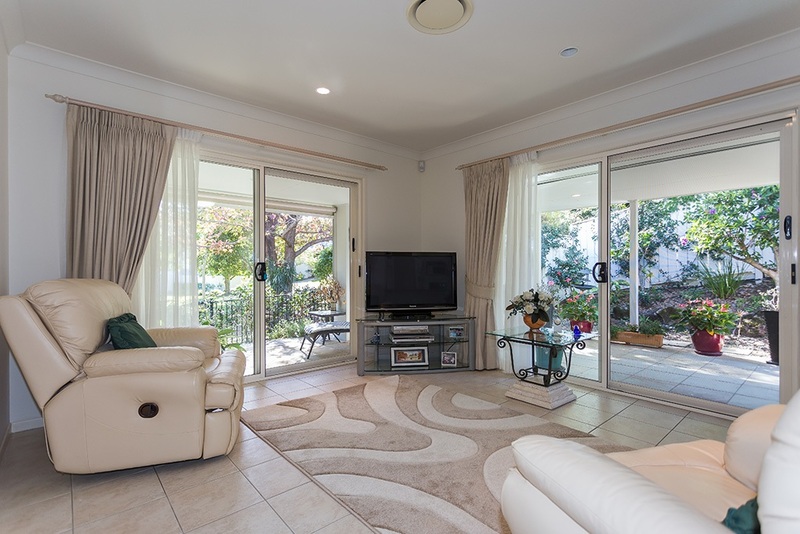 Featuring a casual tiled outdoor North East facing entertaining area as well as the tiled East facing verandah for a coffee, beer or wine overlooking your private garden. 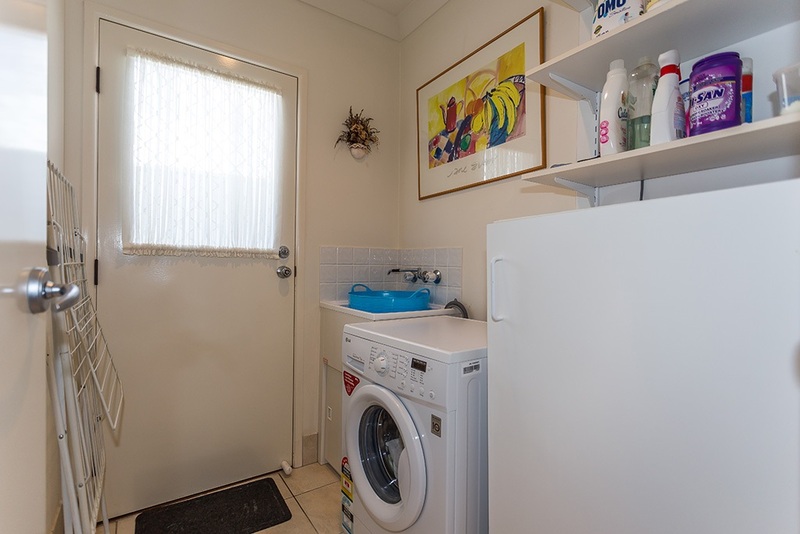 A good size laundry is also featured. 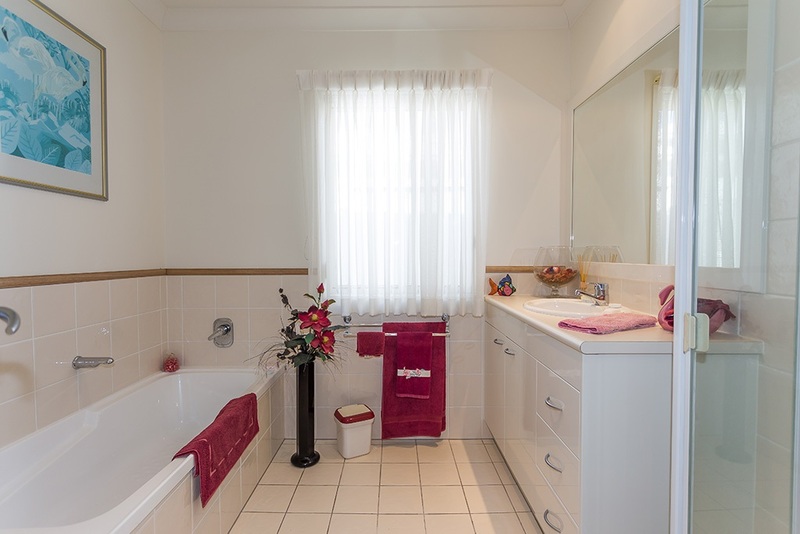 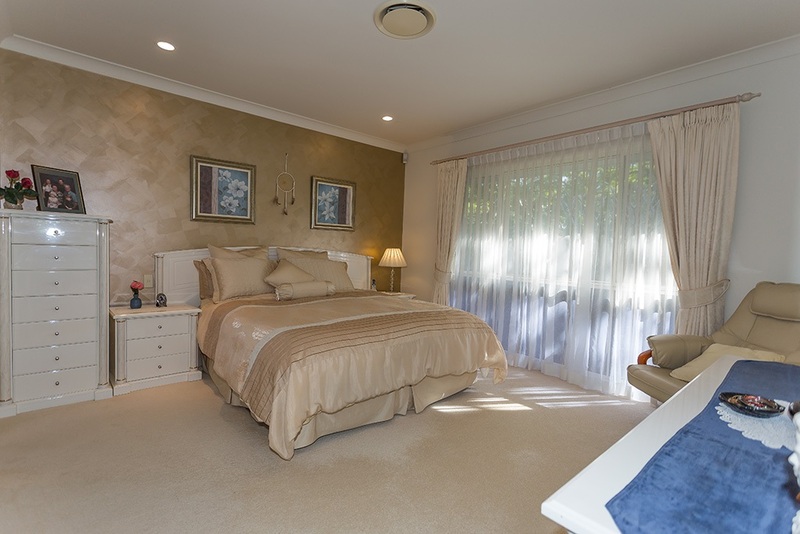 There are three generous bedrooms, the main has an ensuite with separate bath and shower. 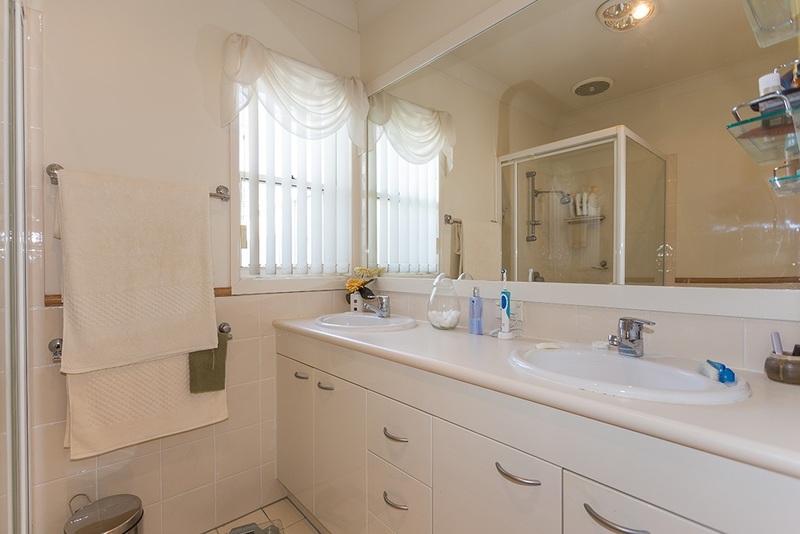 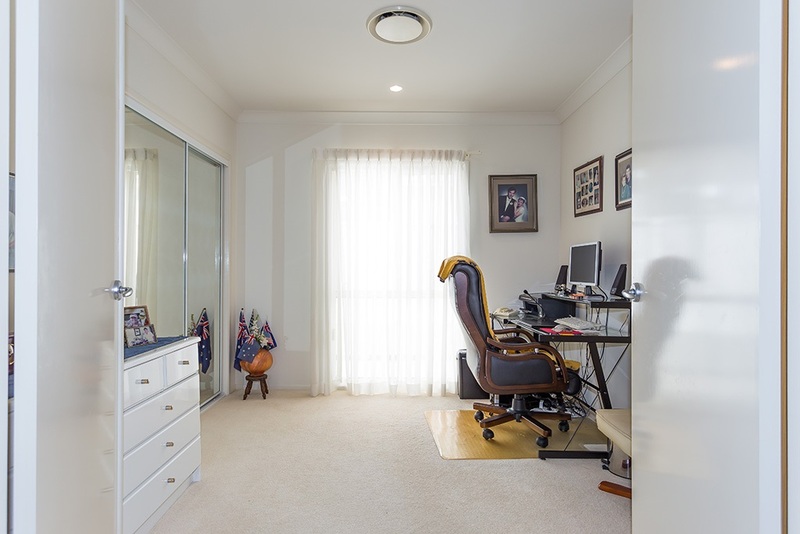 A large second bathroom and separate toilet services the second and third bedrooms. 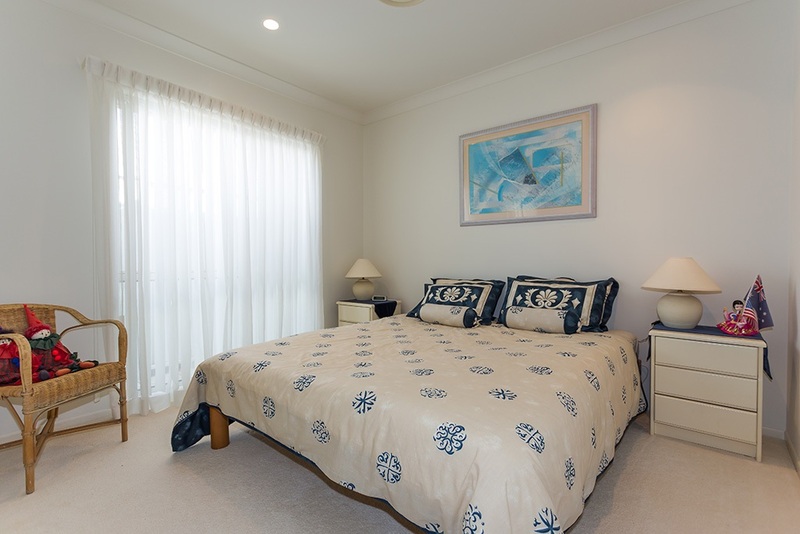 All bedrooms have generous sized built in robes with individual split system air conditioning. 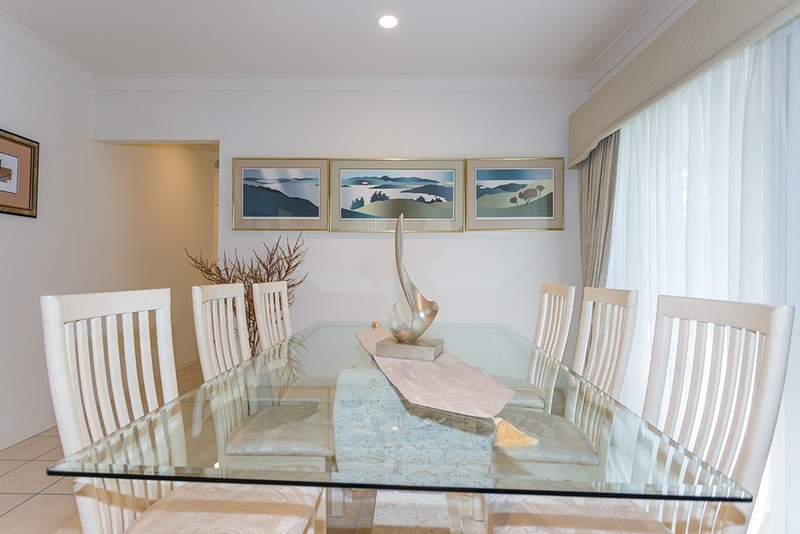 The very generous formal living and dining area is in addition to the sun filled casual family and dining area off the eat in kitchen. 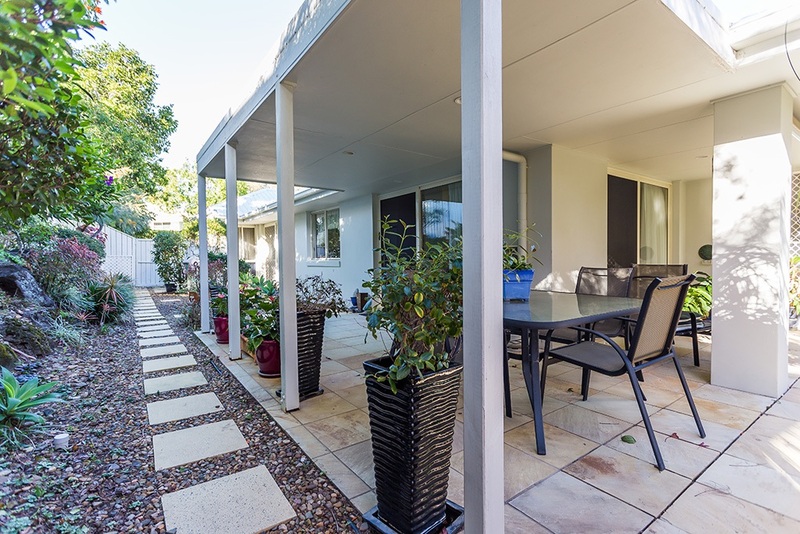 A large double garage, solar panels to save on electricity costs, an East facing side courtyard/ garden with clothes line with complete privacy. 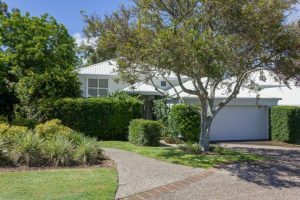 This stunning property is now available and this style of home does not come on the market very often so don’t miss out.